The most accurate earphone in its class. 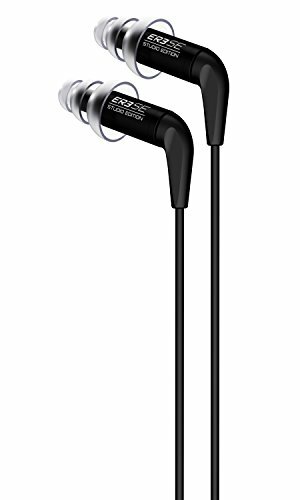 ER3SE Studio Edition earphones utilize Etymotic's balanced armature drivers regarded as the gold standard for high definition, in-ear earphones. With detachable cables and precision machined metal bodies the sleek ER3SE are tuned to extremely tight tolerance specs for the most accurate sound reproduction on the market. An assortment of eartips provide 35-42dB of noise isolation and detachable 4 ft reinforced cables with MMCX connectors allow for easy replacement. Also includes filter removal tool and replacement filters, and a storage pouch. If you have any questions about this product by Etymotic Research, contact us by completing and submitting the form below. If you are looking for a specif part number, please include it with your message.